What types of causes touch your heart? Can you help a Friend in need, offer time to support our homeless population, contribute to the maintenance of our meeting house, or volunteer in another way? Perhaps you are drawn to a project beyond our meeting’s direct attention, included thanks to the interest of a member. Check out this list of current help needed, and you may feel moved to contribute. Please email additions and changes so that we can maintain this page as a useful resource for our community, or call Margaret Wallace at 303-579-6573. Please check our Announcements page for current needs. Friend at the door: Greet Friends at the door and oversee late arrivers until you open the meeting room door at 10:15 and join the meeting. Contact Barbara Spies at 303-494-9207 to sign up for a month or for a single Sunday. Fellowship: Prepare drinks and snacks for our fellowship hour. Sign up on the bulletin board in the fellowship room. Listen when sorrows are shared and be aware of people in the meeting who need help; reach out to them. Let the Service Committee know, and if possible, help them yourself. Drive Friends to Meeting or take them shopping. Take food to the sick. The Service Committee can offer specific suggestions. Do you love working with children? Support our youth by teaching or assisting with First Day School. Contact Susan Stephens (303-554-6312, susan@operant.com). Join a committee: Our service year for meeting committees runs May through April, but many committees very gratefully accept members at any time during the year. See Committees list for more information. Sign up with Maria Krenz to volunteer at the Boulder Shelter for the Homeless to cook dinner on our Friends’ night, the 3rd Saturday of each month. Boulder Shelter for the Homeless – Volunteer to cook on our Friends night, the 3rd Saturday of each month; contact Maria to be part of our group. To volunteer independently at the Shelter or to be added to their email list of needs requests, contact them directly at http://www.bouldershelter.org. Other local services for struggling individuals and families that rely on volunteers and donations include Bridge House (http://boulderbridgehouse.org) and EFAA (Emergency Family Assistance Association, http://www.efaa.org). ECHO house supports homeless families for a transitional period, and EFAA offers services to housed but needy families. In Longmont, Our Center (https://www.ourcenter.org) provides many day services for the homeless. They need volunteers as well as donations. Sister Carmen (https://sistercarmen.org) in Lafayette provides outreach services for the homeless. 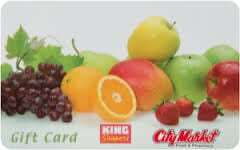 Contribute to AFSC (American Friends Service Committee) by purchasing shopping cards for King Soopers and Whole Foods after the rise of meeting. You pay for your groceries as usual, and the store donates 5% to the AFSC. AFSC offers many action alert opportunities (writing campaigns) on their website, http://www.afsc.org/getinvolved. The Denver area of AFSC at http://www.afsc.org/office/denver-co posts updates on local issues and sponsors local letter-writing campaigns. FCNL (Friends Committee on National Legislation) at http://fcnl.org runs a letter-writing campaign announced each month at Meeting. You can write immediately at a table in the fellowship room, or you can study the issues online and write from home. They also need volunteers to take actions such as speaking locally on topical issues, and of course contributions are welcome. Contribute your canceled first class postage stamps to the box on the table across from the library. They are being collected by a Friend in California who sells them to support the Quaker organization Rightsharing of World’s Resources, and up to $50,000 has been raised in this way. Learn about this Friends’ Nonprofit at http://www.rswr.org.